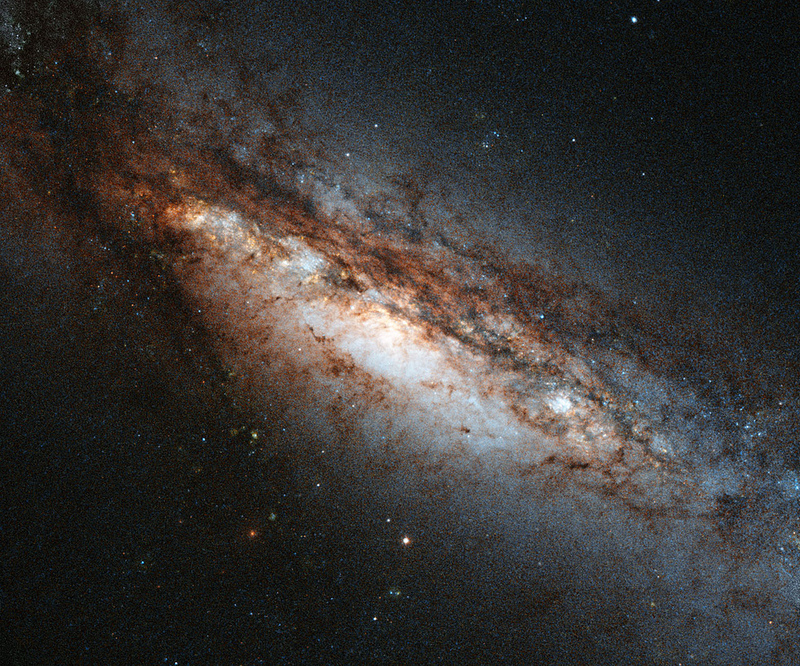 This new Hubble image shows a peculiar galaxy known as NGC 660, located around 45 million light-years away from us. NGC 660 is classified as a “polar ring galaxy”, meaning that it has a belt of gas and stars around its centre that it ripped from a near neighbour during a clash about one billion years ago. The first polar ring galaxy was observed in 1978 and only around a dozen more have been discovered since then, making them something of a cosmic rarity.